The world’s last living male northern white rhino, Sudan, has died, leaving only two females of kind left. Sudan, the 45-year-old northern white rhino, the only remaining male of the subspecies, was euthanized on Monday after suffering “age-related complications”. 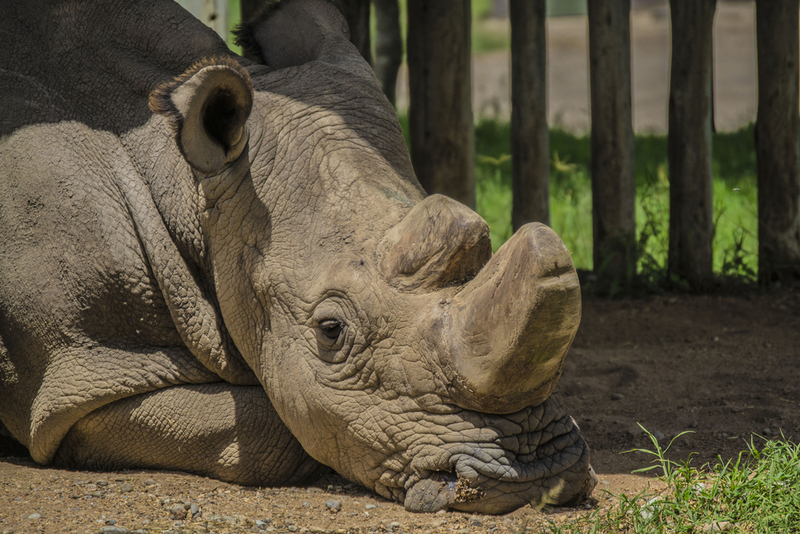 Sudan was living at the Ol Pejeta Conservancy in Kenya, and was suffering from muscle and bone deterioration, as well as several infections. Sudan, the last male northern white rhino, at the Ol Pejeta Conservancy in Kenya. A deep wound to his hind leg had left him lying in discomfort, barely moving, for two weeks between late February and early March. Sudan, along with two other females, 27-year-old Najin and 17-year-old Fatu, was part of an ambitious effort to save the northern white rhino from extinction. Despite extensive attempts, he would not mate naturally with either of the females. Last year conservationists put him on the dating app Tinder, hoping to raise $9 million fertility treatment. Before moving to Ol Pejeta, Sundan lived at the Dver Kralove Zoo in the Czech Republic, where he was a somewhat of a celebrity.